Revolution’s Coffee Barn is located in the main concourse of the building and offers a variety of freshly brewed coffee drinks and TAZO tea. 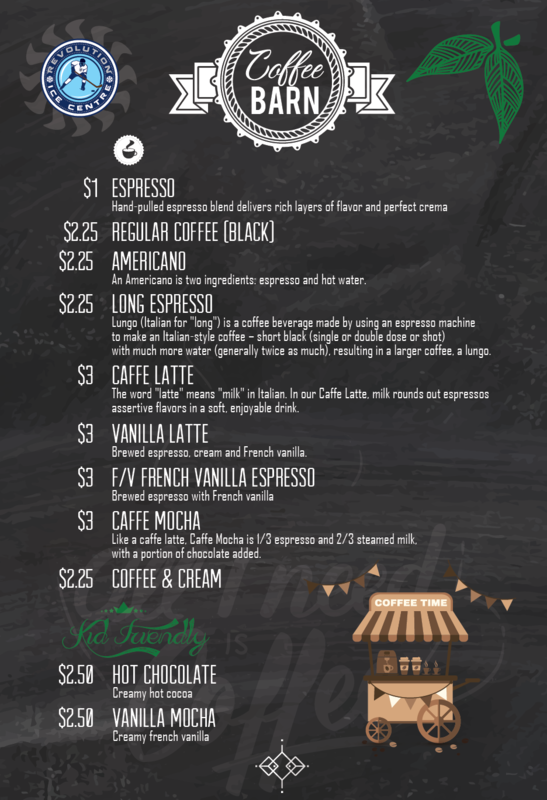 The Coffee Barn offers drinks such as café latte, café mocha, hot tea, espresso, café Americano, regular coffee, hot chocolate, French vanilla latte, and more. The machine accepts most major credit cards. 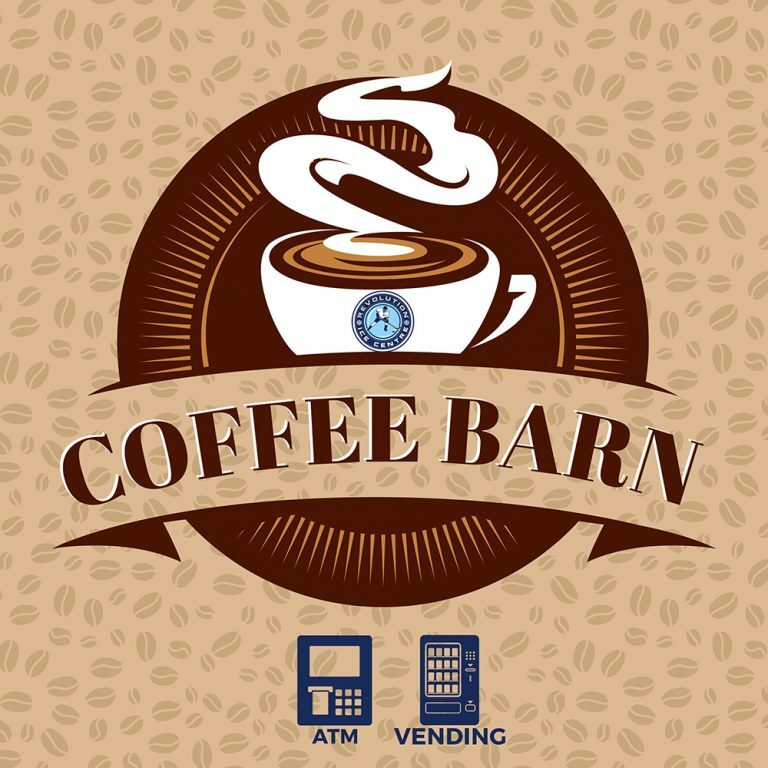 Also, The Coffee Barn contains numerous vending machines and an ATM machine on premises.